Organised by the ECPR Standing Group on International Relations and EISA in cooperation with the Institute of International Relations, University of Warsaw and the Polish Association for International Studies. This panel shows general and/or case studies between International Relations and Islam. Galip Dalay is working for Political Research Department of SETA Foundation and pursuing a PhD degree in International Relations at Middle East Technical University, Ankara. From the Welfare Party (WP) to the Justice and Development Party (JDP), foreign policies of Islamic parties have attracted disproportionate scrutiny. One of the focal points has been their approach to the West and Western-oriented institutions. This article, based on Jack S. Levy’s concept of learning in foreign policy, is divided into periods to better show the evolution of foreign policy perspectives: the Welfare Party period, the Virtue Party in transition, and the first (2002 – 2006), second (2006 – 2010/11), and third (2011 – ) periods of JDP rule. I argue that from WP rule until the JDP’s first period in power, these parties’ approach to the West has been largely motivated by domestic considerations for different reasons. The WP defined the West as its Islamist identity’s “other” and sought to create an alternative framework; the JDP regarded the West as an instrument to gain legitimacy, both domestically and internationally. Yet, in its second term, the JDP attempted to balance its Western focused foreign policy with alternative complementary frameworks to achieve a more prominent international role. However, the JDP’s third term has been shaped by the Arab Spring and characterised by uncertainty about Turkey’s relations with the west. Hence, JDP rule has seen the emergence of a newly outward-facing political Islam in Turkey. This presentation will demonstrate how the rise of political Islam in Turkey is understood by the mainstream academia and how Gramscian terminology (especially the integral state) would help us to illustrate power relations among neoliberal restructuring of the state within the state and civil society relations. Basically, existing literature on political Islam will be critically evaluated in this presentation. It would not be quite convenient to compare Turkey with other Islamic states because its own sui generis features such as its early and relatively high level of industrialisation, and its early but profound class contradictions and conflicts within it. Therefore this research will be primarily focussed on Turkish case and discussions among political Islam have been limited within the literature on Turkey in this research. The literature is separated into three basic subtitles as follows: state-centric approaches, society-centric approaches and institution-centric approaches. In the first one, there is an abstract assumption of strong state tradition which conflicts with civil society as if they are antagonistic entities. The second one accepts the strong state tradition as given, but there is more emphasis on civil society within identity-based issues. Finally, third one provides limited analysis of the fact since it is kept only within institutional level. The presentation will draw a Gramscian understanding of the state after the critical evaluation of mainstream approaches. In this context, it will be questioned that how the state and civil society relations should be considered in order to carry out a class-based analysis and how the rise of political Islam in Turkey should be comprehended within neoliberalism. Gökhan Duman is currently a PhD student in historical societies, land and heritage at the University of Rovira i Virgili in Tarragona, Spain. He is also one of the project researchers in UNESCO Chair of Intercultural Dialogue in the Mediterranean. Uprisings in the Arab world make us question the concept of “democracy”. From a Western perspective, the concept of democracy has a significant importance on people’s govern. Since the Ottoman Empire period, Arab countries always had rulers. Following the dissolution of the Ottoman Empire, they could not put have democracy in place. Some of them might have some sort of elections, but with missing crucial components such as the presence of a viable opposition group. Western scholars have always questioned the relationship between Islam and democracy. The ones belonging to the Orientalist camp claimed that Islam and democracy cannot coexist, since Islam and its legal system based on “Sharia”, is a method of governance itself, and it does not give any room democracy. On the contrary, modern Turkey proved that it is possible to have democracy and human rights in a Muslim society. The Republic of Turkey stands as an example whereby a country with an overwhelming (98%) Muslim majority and has a multi party political system with a functioning democracy. In this context, the Turkish case was widely debated following the Arab uprisings and the questions such as “Can Turkey be a role model to the Arab countries?” “Does Turkey have a “Western” democracy?” etc. asked frequently. Besides these questions, there was an implicit assumption that the Arab countries need a role model in their quest of democracy. Turkey’s relations with its neighbors make her an ideal candidate for the debate of ‘role model’. Although Turkey might serve as a model with her democratic credentials, the Turkish trajectory should be studied closely to understand how she reached there. What are the fundamental characteristics of the Turkish Revolution (1923 – 1938)? What is the legacy of Ataturk? How did he create a country from a scratch and more importantly how did he make democracy work in a country with a Muslim population? 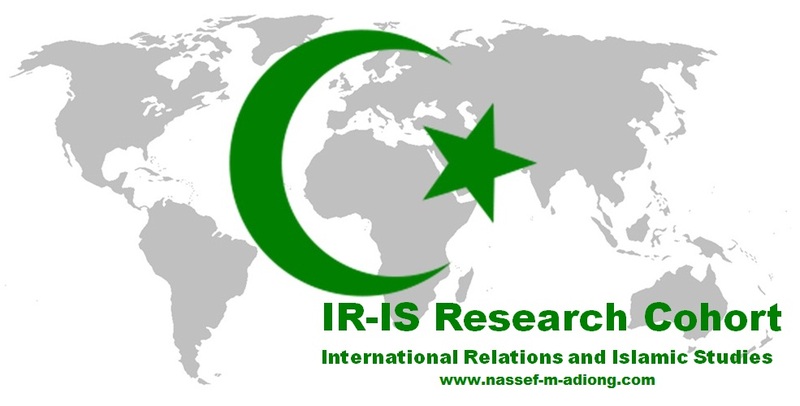 Political Islam as Elite Ideology in Turkish Foreign Policy-Making? It has been widely debated whether the AKP and especially its leaders are ideologically driven. In this context, much has been written about how the writings of FM Davutoğlu, and the speeches of PM Erdoğan and President Gül, prove Turkey’s Islamic orientation and its leaders’ distinct perception of the West. Thus, although the AKP officially calls itself ‘conservative democrat’, many authors try either to prove the party’s ideological Islamist roots, or support its democratic character. To the end of contributing to this debate, this paper tries to answer two fundamental questions: what is the ideology of the AKP elite? To what extent does the AKP elite ideology influence Turkish foreign policy (TFP)? In answering the first question we first clarify whether there is an ideology or not; then, we make a distinction between the ideology of the AKP as a whole and the ideology of the policy-makers and officials, as expressed publicly. To examine the impact of ideology we empirically look at TFP towards Israel and Syria. The conclusion is that the AKP elite does have an ideology, based on political Islam; yet, its impact on foreign policy is limited as it is constrained by various material interests. Prof. Dr. İştar Gözaydın is a professor of law and politics at Doğuş University, Istanbul. There is little doubt that Ahmet Davutoğlu, Turkey’s current Minister of Foreign Affairs of pro-Islamic AKP (Adalet ve Kalkınma Partisi), is the major driving force of Turkey’s ‘proactive and multi-dimensional’ foreign policy, even though the foundations for his regional foreign policy go back to 1980’s. Yet, it was Ahmet Davutoğlu who embedded this Ottoman reference into a reconsideration of the role of the West and of Turkey from a decidedly Islamic or intellectual-Islamist position. Prof. Dr. Ahmet Davutoğlu, is also an academic of political science that has published several boks, and articles. Especially his book Strategic Depth is a very influential book in Turkey’s foreign policy orientation. He is very influential in the military, academic, and government triangle shaping Turkish foreign policy. Professor Davutoğlu was granted a title of ambassador by the joint decision of President then Ahmet Necdet Sezer and Prime Minister at that time Abdullah Gül in 2003. As an ambassador Davutoğlu was one of the leading actors on behalf of the Turkish government during the shuttle diplomacy for the settlement of 2008 Israel–Gaza conflict. In this paper I will scrutinize through his works how Davutoğlu as a scholar perceives the fields of Islam and international relations.